Friedlieb Runge was a German chemist and the first person to isolate caffeine. Because of this, it’s only appropriate to name our ongoing coffee porter experiment after him! As much as we liked the Brewsmith porter kits we did (we’re still waiting to see how the coffee version turned out), they’re only sold with enough ingredients to make about four litres – so what do we do when we want to make a big batch? Adding to that, they are a bit expensive when compared to sourcing the ingredients directly. Don’t get me wrong on this. The price of the Brewsmith kits is quite fair, but if you’re willing to take the time to try and recreate their recipes, you can save a bit of money. If you’re not willing to take the time to recreate the recipe, then hey, keep buying the kits because they do a great job. Anyway, as a base, we used a recipe presented by the great Craig of Craigtube. If you haven’t checked this guy out yet, do it! We weren’t able to get all the ingredients here in Australia, plus we didn’t want to use a canned wort with bittering hops in it, so there was some improvising. 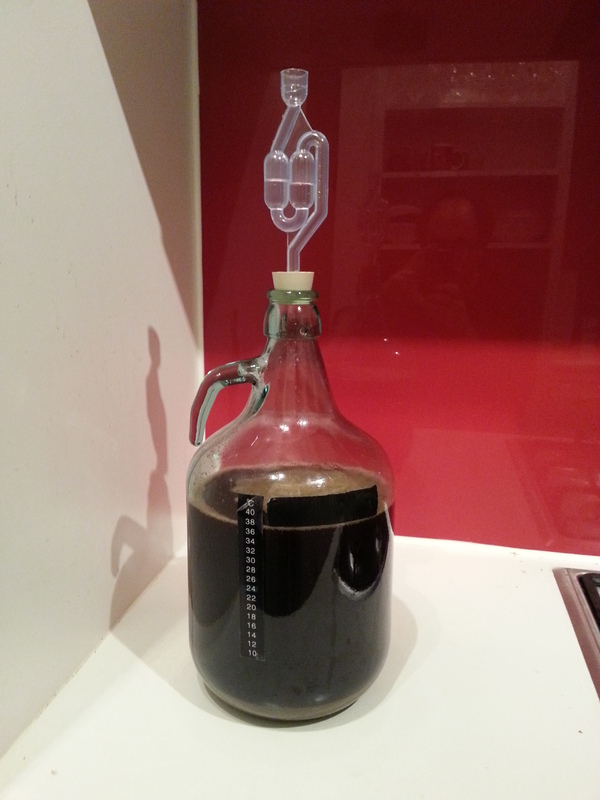 Since this was the first attempt, it was only a 4 litre batch. Steep the grains (using a grain bag) in about two litres of water for 20 minutes (on reflection we probably should have done 40…). When this is done, remove the grains and sparge them with a litre of boiling water. Bring this three litres up to a boil and throw in three grams of Willamette hops for the start of your thirty minute total boiling period. At the 15 minute mark, put in three grams of Fuggles hops. Finally, with five minutes remaining, put in another three grams of Fuggles. At the end of the thirty minute boil, turn off the heat and put in the eight shots of espresso as well as the brown sugar and give it a good stir. Put a lid on the pot and immerse it in a sink of cold water for twenty minutes, changing the water halfway through. Throw this all into a five litre carboy, and top up with one litre of water. Try to get the temperature to between about 18 and 26 degrees with this top up. Pitch the yeast and you’re done! We got a gravity reading of 1.054, so we’re expecting an alcohol content of somewhere in the mid 4% range after bottle conditioning; I imagine the final gravity will be a little high due to the yeast type as well as the coffee, which isn’t fermentable but adding to the specific gravity. In relation to hops, I found that the Willamette had bitter and dry smell with a hint of spice. The Fuggles were less bitter, with a more fragrant fruity/floral smell. While the wort was boiling, the chocolate was quite overpowering when right over the stove, the smokiness came out quite a bit when I stood back. There weren’t any big hops smells, but when tasting the wort, they were definitely there and quite nice. Overall, this should be a pretty good brew. We’ll see if it’s anything at all like the Brewsmith kit, but it should taste good any how.